When you start looking at purchasing or researching the best Ultrabook, you’re going to see just how far technology has come regarding laptops. You may have noticed that laptops continue to get faster, lighter, and thinner. The technology inside has also improved by leaps and bounds thanks to solid-state drives (SSDs) as well as the differences in processors. They’re portable and powerful, but how do you know it’s an Ultrabook instead of a typical laptop? What is an Ultrabook you ask? It’s a laptop, but it meets strict standards to be called an Ultrabook. You could even say that these are the Rolls Royce equivalent in the tech world. It came from Intel as a specification created for high-end laptops. If a laptop has a 14” screen, then the total thickness can’t be larger than 21mm unless it’s a touchscreen. If it’s a touchscreen, then it can be as thick as 23mm. If the screen is 13.3” or smaller, then the thickness cannot be any more than 18mm total. With dimensions like this, the larger Ultrabooks end up weighing around four pounds, and the smaller ones are typically around three pounds. Ultrabooks must also run on a low-power platform according to Intel’s standards. That means that the focus is on being efficient and not meant for things like gaming. The drive required in Ultrabooks is also the SSD drive that is inside. Some have a hybrid design of a traditional hard drive combined with a solid-state drive, which again encourages efficiency. Don’t forget the battery requirements. Intel mandated that all Ultrabooks had to have a five-hour battery at a minimum on a single charge. What does an Ultrabook do? An Ultrabook offers you a chance to use a highly-efficient laptop with other bells and whistles. It is definitely meant for the corporate world and not for gaming. The SSD on the inside allows for fast access to data, so you’re not wasting time for the system to recall data that you need to be pulled up yesterday. Where can you buy an Ultrabook? 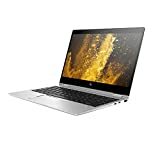 You can buy Ultrabooks directly from manufacturers like Dell and HP, as well as newer companies that have brought out some impressive products. Amazon, Best Buy, Newegg, Tiger Direct, and other stores like them are also fantastic places to find what you’re looking for. Remember to check out the warranty and possibly the extended warranties that are offered by each company. Some have better warranties than others, so it’s crucial in having peace of mind after your purchase. 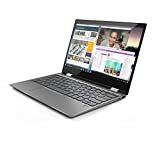 You’ll also want to take the time to read some reviews on the Ultrabooks if you can that way you can feel good about choosing the one you want. How much does an Ultrabook Cost? Ultrabooks are expensive compared to the more typical laptops. You can expect to pay around a thousand dollars at a minimum. The price tag goes up from there, reaching several thousand dollars. Of course, if you’re open to getting a refurbished model that’s a little older, you can find them on Amazon for under a thousand dollars, and in some cases, as inexpensive as a few hundred dollars. Is an Ultrabook worth the expense? If you want a professional level laptop that is both lightweight and efficient, then yes, the Ultrabook is absolutely worth the expense. If you’re a gamer, though, then the Ultrabook is not going to be the best option for you because they’re not designed to handle that kind of power and processing demand. You’ll have to know what your intentions are ahead of time because there is no point in spending the money if you don’t have to. Alternatively, if you need something efficient, then be ready to spend a pretty penny getting what you want. We pored over reviews from customers, testing from reputable companies, and compared the specifications between the various Ultrabooks to arrive at a list of the best ones on the market. Things like processing power were necessary, as were the size and type of hard drive availability. After all, if you’re going to pay almost four thousand dollars, we want to make sure that you’re getting the best Ultrabook possible for that price. You can see a good representation of the price range over on Amazon. Expect to pay a thousand dollars or more for the best Ultrabooks that are on the market when you buy it brand new. Brand new is always better, especially since you know it will come with the manufacturer warranty and possibly an extended warranty. Refurbished Ultrabooks may not have the same opportunity to extend a warranty beyond something offered by a third-party seller, but they can be markedly less expensive. The Dell XPS 13 has been a standby laptop for a very long time, but you’ll be happy to know that it has gotten an extreme facelift more recently. Available in a white and gold color scheme, this Ultrabook is the slimmest laptop that Dell has ever put out on the market. With all the technical bells and whistles, it’s no wonder that this laptop can command a higher price tag. You can choose a 4k display, an excellent webcam, and an eGPU that allows for gaming capabilities, which is a rarity among Ultrabooks. Add the InfinityEdge display and a thickness of less than half an inch total, and you’ve got a beautiful, sophisticated, functional machine at your fingertips. The Yoga 720 is an ultralight laptop that weighs in at less than three pounds. It measures at 0.6 inches thick, making this computer extremely portable. Battery life is outstanding and can get you through as many as 7 hours without having to recharge. For a large number of people, that’s an entire workday or nearly so. The display on the Yoga is also a touchscreen, and you can fold the keyboard all the way back to enable tablet capabilities. You also get the Active Pen 2 stylus that works well with the system. The screen is available in either 13” or 15” widths. Internally, you’ll find either an Intel i5 or i7 processor depending on the model you choose. If you’re into gaming, though, you can’t add an eGPU or any GPU for that matter because the system will not support it. For something that is less than a thousand dollars, you’d be happy to know that the Asus ZenBook has fantastic overall performance. With battery life at approximately seven hours, you’ll get plenty of use out of it before you have to find a wall to plug into. The display is a Full HD display, but it is not a touchscreen, so don’t try to tap and zoom in as you might on the Lenovo Yoga. Total weight for the unit is a mere 2.6 pounds, which makes it comfortably portable. There is also a built-in fingerprint reader if you need that extra line of security. Processor: Intel Core i5-7300U vPro processor with Intel HD Graphics 620 (2.6 GHz base frequency, up to 3.5 GHz with Intel Turbo Boost Technology, 3 MB cache, 2 cores). Storage: 256GB M.2 SATA TLC Solid State Drive. All that can be said of the battery life for the HP EliteBook X360 is simply, wow. It has an excellent standby battery life of up to 16 hours and 30 minutes and a minimum of 8 hours of active usability before it needs to be charged. You can also fold the screen all the way back giving you tablet capability that you can combine with an optional Active Stylus. This Ultrabook can do just about anything you ask it to do short of gaming. According to Trusted Reviews, the performance of this particular laptop was excellent as they ran it through their battery of tests. If you go out to Amazon and search for the IdeaPad 720S, you’ll see that it’s available in two sizes – a 13.3” screen and a 14” screen. At 2.5 pounds and about half an inch thick, this laptop is extremely portable. The 13” model comes with an AMD Ryzen 5 processor while the 14” model comes with an Intel Core i57200U processor, both of which are fantastic in their own right. Do keep in mind, though, that the resolution is not great for gaming, so if that’s a deal-breaker, then you’ll need to go elsewhere. For everyday use, the battery life is great, easily reaching a full 8-9 hours of usability making it perfect for an entire day’s work. Given the price of the Lenovo IdeaPad 720S, you’re going to get an excellent computer for the cost. Intel has taken significant steps to improve the efficiency of their processors resulting in these incredibly sleek Ultrabooks. Because of these improvements, you will be happy to know that you will get the same performance quality from an Ultrabook that you would from a traditional laptop. There are instances, too, where gaming is supported by an Ultrabook, but only with modifications. In most cases, Ultrabooks do not support gaming very well, so if that’s your jam, then you need to go with a traditional gaming laptop. With a fantastic battery life among the Ultrabooks, you may very well spend hours away from a wall socket and not even realize that your day is over before you go to plug it back in. They’re all amazing computers that are great daily use laptops. Highly portable, long-lasting battery and fantastic displays all lend themselves to a computer you’ll be happy with. Before you take the plunge, just remember to figure out what your budget is for one of these bad boys, and you’ll be sure to find something that you will appreciate.